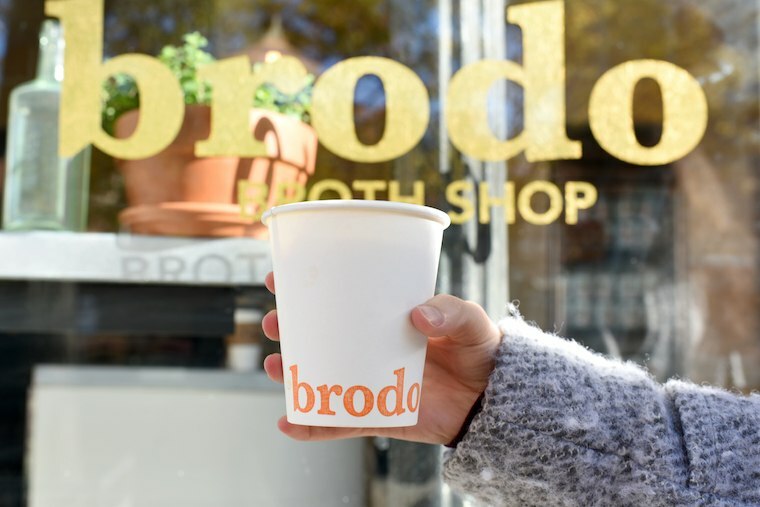 Bone broth lovers found paradise in 2014 when Marco Canora opened up Brodo, a take-out window in New York City’s East Village neighorhood devoted to the uber good-for-you it-beverage. Frequenters could choose from multiple favor profiles from the kiosk attached to the chef’s super-popular restaurant, Hearth, but they had to fight foot traffic to place an order (hey, beggars can’t be choosers). Until now, that is: Canora has opened a shiny new broth shop across town. Located in the West Village, Brodo’s first official brick-and-mortar is cozy and, most excitingly, features an expanded menu with almost a dozen combos. Some highlights: Swiss Mister (chicken broth, spiced cocoa, and coconut milk), Sipping Beauty (Hearth broth, fresh parsley, and lemon), Oishi Oishi (chicken broth, shiitake tea, reishi powder, roasted garlic puree, and grass-fed butter), and Morning A Go-Go (chicken broth, butter cacao, grass-fed butter, and a special herb blend). A vegetarian broth is also being introduced for the first time, and yes East Villagers, this new expanded menu will soon be available at the takeout window, too. Canora is extending that welcome to tiny new humans (well, to their parents). 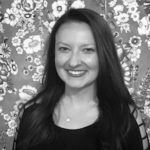 Another exciting development for the company? Brodo is now working with NYU Langone Medical Center, gifting new mothers in the maternity ward free broth: The Stork, The Swaddler, and The Bundle of Joy. It almost makes that chill in the air hinting that winter is coming more welcome—almost. To take your obsession up a notch, try making a bone broth latte (yes, really). Want something to nosh on while you sip on your bone broth? Lauren Conrad’s favorite nutritionist shares her Paleo pumpkin bread recipe.